Online consumer complaint forum is a very niche market. What had driven you to get into this? First of all, we are not a consumer complaint forum. We are an overall consumer platform, who act as a bridge between the consumer, not just for complaints, but for queries and general feedback as well. Initially, we started off (in September 2009) as a provider of legal documents for the general public with a focus on wills, but the idea wasn’t quite clicking. Although we did offer consumer complaint help, it wasn’t high on our priority list. A little later, I had a very bad experience with Airtel’s customer service division – something which made me realize how difficult it is for the common customer in India to get his grievance resolved and the total lack of amenities in this regard. Around the same time, Rediff wrote an article on us, resulting in a big spike in our website traffic. From the data gathered, we noticed that almost everyone showed great interest in the “Consumer Complaints” section. That gave us the answer and led us on a path that we haven’t looked back from. Which industry vertical does Akosha gets majority of consumer complaints from? Telecom/ISP gets the maximum number of complaints, followed by Online/Ecommerce. How do you deal with non-cooperative vendors and how far do you go in such a case to get the complaint resolved for the consumer. Can you site an example? In most cases, brands understand the importance of resolving complaints for their customers and cooperate with us. In some sectors like real estate, we are left with no option but to draft a letter on behalf of the customer and guide him on his/her consumer rights and on how to approach the consumer court. Have you ever faced a situation when the complaint has not been genuine and you’ve approached a company which has given rise to a conflict? What do you do to ensure the authenticity of the complaint? We have a very elaborate complaint filtering mechanism with checks at multiple levels which ensures that only genuine complaints are sent to the company. As a result of this, we haven’t faced such a situation till date. Do you see Akosha as a third party auditor to companies to manage their online reputation? Basically trying to understand where does your work end? Do you consider yourself as an advisory service provider or do you go a step forward to take up matters legally? Yes, we do see ourselves in that role for companies. In fact, we are already doing the same for quite a few clients. As to where does our work end is concerned, even we don’t know. New ideas keep coming up from time to time and I’m sure that new avenues will also continue to open up. We have a simple focus – to try and improve the standard of customer service in India. Do you believe that with Akosha, you are trying to revolutionize the way brands handle customer care? What is your vision for Akosha? Every single day. We are trying to get customer service to the coveted position in the eyes of the company that it deserves. In whatever way that we are able to, customer service is gradually being seen as something that cannot be ignored. In fact, we believe that these efforts will also make the average consumer more empowered and drive a change for a better products and services ecosystem. Do you consider Akosha Spark to be your best marketing move till date? We keep experimenting with different ideas. Akosha Spark was one such idea – a unique platform on which consumers can express their opinions about certain aspects of various products and services. These public opinions will then be brought into the notice of the concerned brand and attempts will be made to implement them. Akosha mines a vast repository of information which can be used to understand the consumer better. Do you think companies can leverage the data to formulate their next marketing strategy? Your comment. Yes and yes. Anything with great power can be used in a variety of ways. Companies will try to leverage Akosha’s data to formulate their next marketing strategy. We do not see the company as the enemy nor any marketing activity as evil or aligned against the interests of the customer. Our aim is to promote a win-win situation where companies understand their customers to such an extent that they design all their products and services according to the wishes of the customers and at the same time, ensure that customers are well-informed and use that information to make the right choices – to eliminate information asymmetry. In that situation, the market will prevail. If you are to attribute Akosha’s success to just one thing, what would that be? The use of technology in simplifying and automating many cumbersome parts of the complex problem of resolving consumer complaints. Where do you wish to take Akosha in the next five years? We want to Akosha to be the single unified platform for consumers to interact with brands. We want it to be the primary channel for communication related to consumer complaints, queries, general feedback and even marketing. We want Akosha to be a household name in the next five years, as common on people’s tongues as Facebook. If you are asked to tweet Akosha’s expansion plans in a few characters, what would that be? Helping brands serve their customers better through technology/Helping brands gain their customers’ trust using technology. What challenges have you faced while building Akosha from scratch, both professionally and personally? Do you also think to scale would be a challenge in the near future? We went through the typical struggles of an early stage startup – hiring, finding product market fit, finding mentors, investors, scaling the operations and the team. Personally also it has been a roller coaster ride since building a startup can be extremely exhilarating and stressful at the same time. I don’t think scale will be a challenge. Everyone I meet has had a customer service problem and we are focussed on using technology well to service a large number of customers. How do you deal with competition both internal and external, like selling the idea of Akosha, retaining talent from getting poached, emergence of new players in the market and other external factors? The idea of Akosha is so new to the Indian market that a lot of time, people in established companies fail to recognize its uniqueness and judge before they know the complete picture. That being said, every organization has its set of early adopters, people who are curious about that new shiny toy (metaphorically) in the market and more willing to try than others. It is these people that we try to get in touch with. Once they have understood our services, there is usually no doubt in their mind about Akosha’s potential to transform the way customers see them. At Akosha, we have tried our best to create a very comfortable and enriching work environment. Of course the work is challenging and the industry that we are in has its own inherent negativity, but that gets superseded by the excitement of working in a start-up, the joys of learning something new every day and realization that you are a part of something that is larger than you. We also keep things interesting by organizing regular parties, events like quizzes and TT tournaments and club activities on alternate Saturdays. What Akosha offers is pretty unique in the Indian context. Of course, others can try to imitate us but we have spent a lot of time and effort on the ground learning about this subject. The Akosha brand. As a startup, it is difficult to attract great talent and pay for it. Name 3 startups in India you’d like to work for and why? How had been your life prior to Akosha? I used to be a corporate lawyer in London. Life was good but not as exciting. Tell us a little more about your personal journey. Did you always want to be an entrepreneur? Yes, I did. I grew up in Chandigarh, read law at NLS, Bangalore, worked in London and Dubai for a couple of years. Got frustrated and was itching to become an entrepreneur. Finally took the plunge on 1 June 2009. And finally, tell us how did you come up with the name Akosha? To be very honest, Akosha was only supposed to be a temporary name till we found something better. Sameer Guglani from Morpheus actually suggested the name to us. When we googled it, we found that “Kosha” meant something in Sanskrit. Being too lazy to change it at that time, we just let it be. The name somehow stuck and we’ve been using it since. 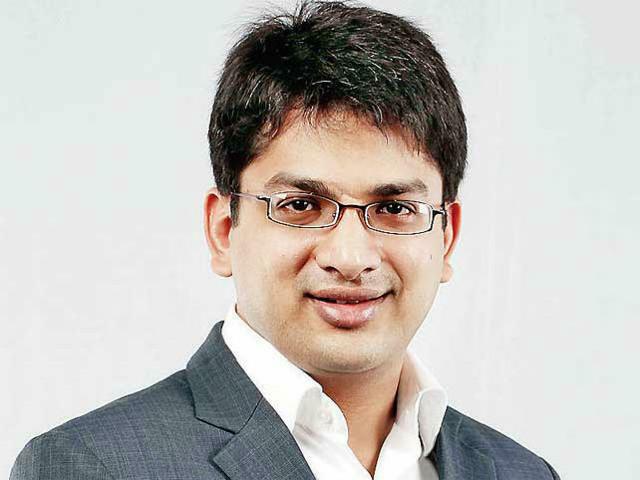 Ankur Singla is the Founder and CEO of Akosha. 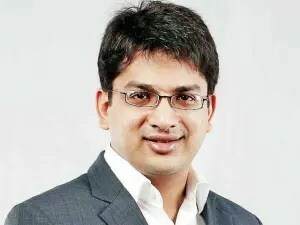 He left his cushy job as a corporate legal advisor at Linklaters LLP, London to start Akosha. He has built Akosha from scratch to a 60+ organization. He is a graduate from National Law School of India, Bangalore. He is a classic film buff, and loves reading biographies.